Author Sohil Ashvin Shah is a commerce graduate from Gujarat University and is a senior accountant by profession. He was born and brought up in Ahmedabad, Gujarat and resides and works in Dubai, UAE since the last eight years. He has written a romance novel “Come back to leave me...Again” which is based on his real life experiences and he is also a die-hard movie fan. 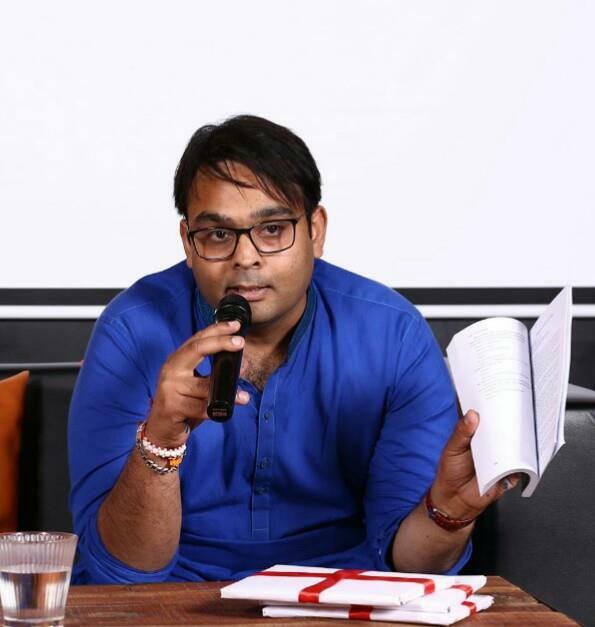 In a candid conversation with Chirdeep Malhotra, he talks about his debut book, his writing journey, his dream of directing a film one day, and why he doesn’t believe in the concept of writer’s block. Tell us something about Sohil Ashvin Shah as a person. According to my close ones, I am a very emotional person by heart and very down to earth. My friends are fond of my sense of humour, which according to them is amazing. By looking at me, no one can say that I am a NRI. This is because I am still attached to my country India, even after living abroad for the past eight years. Being a commerce graduate and presently working as a senior accountant, you have written a romance novel. Can you tell us more about your writing journey and your inspiration for delving into writing books? Since childhood, I wanted to be a writer and director. I knew that there is a good writer and a storyteller in me. But due to some family responsibilities, I had to stop thinking about making a career in this field. But, that did not stop me from writing. I wrote short stories and some ideas and recollections in my notebook. Three years back, I went through some commotions in my life which inspired me to write a novel based on those incidents. Can you provide a brief overview of your book “Come back to leave me...Again”? 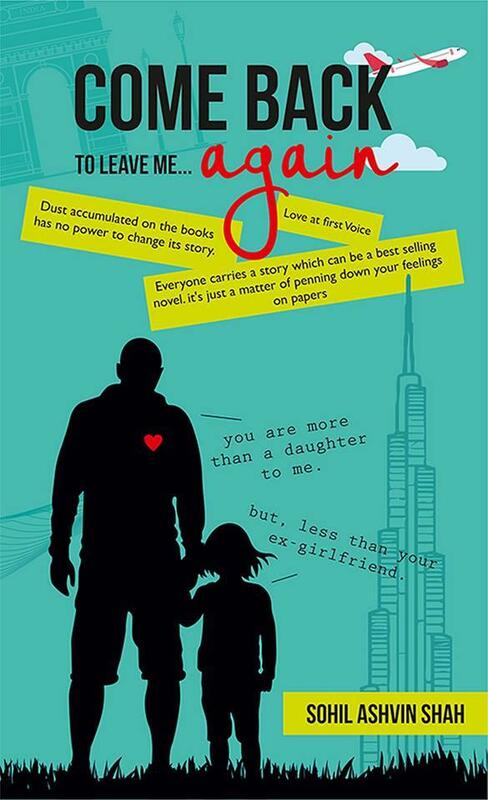 ‘Come Back to leave me… Again’ is my debut novel which is based on some true incidents of my life. It is the story about Hritisha and Siddhant who meet in Dubai and start dating after a few casual workplace meetings. What follows after are the little endearing moments till the time the girl finally agrees to start a steady relationship. But, distances are the real villains in urban love stories and the same goes for the duo. Even though everyone says that the reason for ‘long distance relationships not working’ is the distance itself, this is eventually wrong. The story proves that it is because of the families and the ego vs. self-respect wars that threaten to tear them apart. The blurb says that this book has been inspired from your own real-life incidents and your own fantasies. Can you elucidate more about it? That’s true. Although I had many crushes in the past, but I truly fell in love with a girl when I was 26. But, luck was not in our favour and we had a break-up. The breakup affected me a lot, physically as well as mentally. That’s when I decided to write about my feelings and emotions and turn it into a novel. What in your opinion makes a good romance novel that strikes a chord with the readers? Love is something which happens once in everyone’s life. Even if writers want to write about it as pure fiction, they should try to write it realistically so that it can relate to everyone. If one writes about the breakup period, instead of portraying the main characters as negative personalities, one should try to explain their situations and emotional reasons behind the breakup. As a working professional, it would be quite arduous to balance the two fronts- your job and writing. How do you organize your time between these two? Yes, sometimes it’s very hard to balance both jobs. A lot of times, an idea clicks in my mind while working on excel sheet with accounting numbers. So, at that time the one thing I do is going to the canteen and writing notes of that idea in my mobile. It is a bit difficult to believe but about 80% of my debut novel was written in the Dubai metro while travelling from office to home and vice versa. You’ve been living in Dubai for the past eight years, a city which has a strong Indian Diaspora. Can you tell us more about your life in the multicultural hub Dubai and how you retain your quintessential Gujaratiness there? Dubai is an amazing city where people can fulfil a lot of their dreams by working hard. One meets innumerable people every day from almost all parts of the globe. Life in Dubai is almost the same as the fast-paced life in the metro cities of India. It’s easy to retain my quintessential Gujaratiness there because of the locality where I live, which is composed mostly of Indian expatriates; and the presence of many Gujarati friends there. But more than all this, it is because of my heart that is unflinchingly Gujarati. Which are your favourite books? Our readers would like to know more about the genres that you like and about your favourite authors? The first book which I read in my life was ‘I too had a love story’ by Ravinder Singh. I always prefer the romance genre. I tried to read horror and murder mysteries, but they did not fascinate me. I do not have any particular favourite author, but I love to read Durjoy Datta’s books. What are your other interests apart from writing? Apart from writing, my biggest interest is watching Bollywood movies. I am a big Bollywood movie freak. I see almost every Bollywood movie, that too in the theatre. The reviews of the movies don’t matter. Even in Dubai, you can always find me in movie theatres on Thursday Nights. Are there any new literary projects in the pipeline? Yes. I am currently working on a book, which will most probably be published in June 2018. It’s one of my dream projects. The author blurb also mentions that you want to be a film director. Do you have a script in mind and which type of films do you want to make? Are there any talks of turning your book into a film? I have already started writing a movie script for a Gujarati Rom-Com movie. If all goes well and I go on making films, I would love to make movies based on bestselling Indian novels. As of now, I have not received any offer or call to turn my book into a movie. Writers many a times talk about experiencing writer’s block. Do you also experience writer’s block sometimes, and how do you get over it? Personally, I do not believe in the concept of writer’s block. I think that it can be called writer’s laziness. Sometimes it’s hard for me to write after office hours and playing with numbers for the whole day. To avoid that laziness or you can say the writer’s block, and to get over it, I start watching YouTube videos or reading articles which are related to the current topic of my writing. Who is your biggest critic and how? As of now, I am the only biggest critic of my work. Although many readers have appreciated my debut novel, I feel that I could have written much better when I compare it with the writing of my current unpublished book. I also consider one of my friends as a critic of my writing. She notes down the negative parts of my writing which help me in improvisation. Is there any advice for budding authors, especially those that want to write romantic novels? The one thing that I always say to the budding authors is to just finish their first draft, no matter how bad it is. Do not care about grammar, sentence formation, etc. Those things can be taken care of during editing. Also, try to write the whole novel in your native language first and then translate it into English or into the language in which you want to publish your book. Trust me it will come out as the best of your writing as we always tend to think better in our native language. The base of all romantic stories is the same, love-break up-patch up-happy Ending. If you want to write romantic novels which are different from others, read more and more novels of the romantic genre first to find out what you should avoid in your writing.